Infant girls exposed to high levels of the pesticide DDT while still inside the womb are three times more likely to develop hypertension when they become adults, according to a new study led by the University of California, Davis. Previous studies have shown that adults exposed to DDT (dichlorodiplhenyltrichloroethane) are at an increased risk of high blood pressure. But this study, published online March 12 in Environmental Health Perspectives, is the first to link prenatal DDT exposure to hypertension in adults. Hypertension, or high blood pressure, is a high risk factor for heart disease, which remains the leading cause of death in the United States and worldwide. 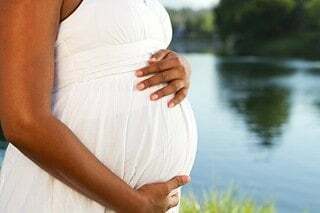 “The prenatal period is exquisitely sensitive to environmental disturbance because that’s when the tissues are developing,” said study lead author Michele La Merrill, an assistant professor in the UC Davis Department of Environmental Toxicology. The U.S. Environmental Protection Agency banned DDT in this country in 1972 after nearly three decades of use. However, the pesticide is still used for malaria control in other parts of the world, such as India and South Africa. That means children born in those areas could have a higher risk of hypertension as adults. La Merrill said that traces of DDT, a persistent organic pollutant, also remain in the food system, primarily in fatty animal products. The study examined concentrations of DDT in blood samples collected from women who had participated in the Child Health and Development Studies, an ongoing project of the nonprofit Public Health Institute. The CHDS recruited women who sought obstetric care through Kaiser Permanente Foundation Health Plan in the San Francisco Bay Area between 1959 and 1967. They also surveyed the adult daughters of those women to learn if they had developed hypertension. The study’s co-authoring institutions were the Public Health Institute and Columbia University. The modern day medical house call can now offer many of the same services that were once only available in the emergency room. I’ve heard about this while I was going to school. I was in a nursing program but changed my degree. My father has high blood pressure and he uses a formula called L-arginine which helps decrease and control his blood pressure. Would L-arginine work in this situation?